The World Polo Championship is held every three years and, as time has passed, Argentina has become a world power, with three championships (1987, 1992 and 1998) and one sub championship (1995). The Argentine Polo Open Championship is the most important in the world at club level. Among the important figures we can mention Adolfo Cambiaso (Jr.) considered the best player in the world, another source of Argentine pride. In November, Buenos Aires welcomes visitors to experience the tournament (in Spanish, Abierto Argentino de Polo, or just El Abierto). This tournament, held every year at the Campo Argentino de Polo in Palermo, brings together the best polo players in the game. Teams from all over the polo- playing world compete in what is one of the oldest and most prestigious events in the international polo calendar. It is also one of the main social events in Buenos Aires, with more than 80.000 spectators each year. Our Polo Open 2015 programme has been tailored to provide a complete experience of this passionate sport. 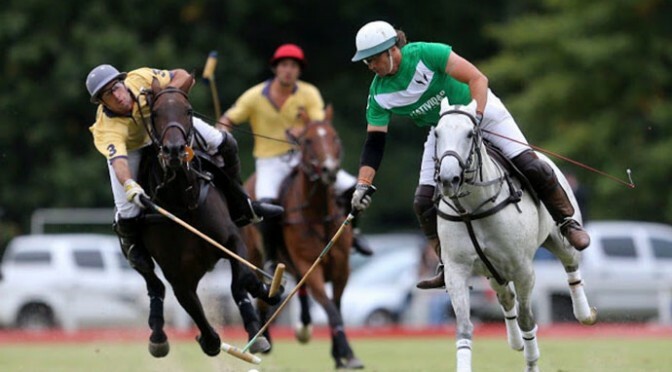 For five days you´ll be able to attend the games and at the same time have a “Polo day” to get to know a little bit more about it and see Buenos Aires which is the “cradle of Open Polo”. In 2015 the tournament will be from 21st November till 12th December. We would like you to live the Polo experience in Argentina. Check about our programme with the Accounts Executive at Kallpa´s. It´s very important to book in advance since the seats capacity is limited and hotels are usually fully booked during the tournament. Sports are also in our roots. 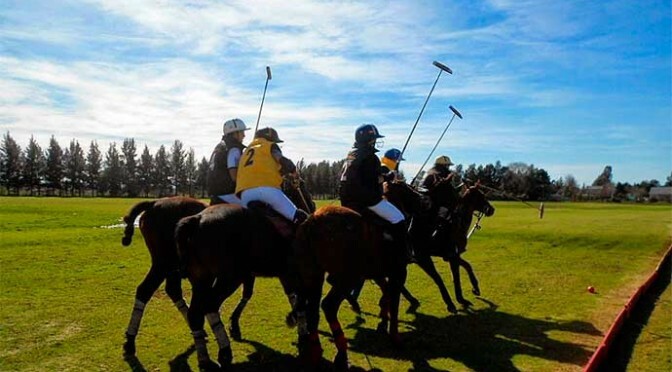 Polo is a prestigious sport that has entered in the heart of the Argentinians and that has gradually become a cultural and touristic attraction. Being passionate about Polo and communicating this love for horses and the sport to each of the visitors is the objective of experiencing the Polo Day. The day starts with an explanatory talk about polo and its horses. We are received with some delicious empanadas [cornish pasties] and a good Argentinian wine. While we taste these empanadas the guide explains how polo horses are chosen for the sport, their bloodlines, and how they get trained, everything very interesting to learn about. Furthermore, we have learnt how a great polo horse is taken care of, its food and preparation for the game. Let’s leave this on hold for the passengers to experience it themselves. After having this talk, we attended a professional polo match up to 4 chukkers (name given to the different periods in which the match is divided). More than 30 horses were involved. We enjoyed of a rapid-paced match full of adrenalin. If you come for the day there are polo matches every day of the year, so it is possible to watch a match with bilingual commentators explaining the basis of the match, its rules and its techniques. At lunch time, we enjoy of an unforgettable barbecue. With a selection of Argentinian offal and meat accompanied by Argentinian wines. Nothing better than a good barbecue after a great match, this is what our delicious local food looks like. Take into consideration that a vegetarian option is also available for those lovers of the greens. After a couple of hours relaxing at the pool or enjoying a walk through this beautiful Argentinian field, we take a polo lesson where we can learn how to ride a horse, how to grab a polo stick, how to aim at the ball and finish the day by sharing a mini polo match which make us feel as a professional player. Clearly the ball was more frequently touched by the horses than by us, but the experience was really very special. Each person has a different level of expertise in horse-riding so there are horses for any level of expertise and there also are qualified trainers who give us professional instructions. Even when your passenger has never learnt how to ride a horse, or if he/she only has a basic knowledge or if he/she is already a professional, the horses we use are excellent to enjoy a ride through the countryside, to start learning, or to progress in his/her abilities and techniques.